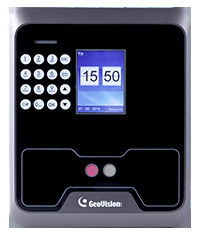 The face recognition reader can work with GV-AS Controller and GV-ASManager to create a complete access control system. Two types of operation modes are supported: Face Recognition or Card. Optional devices can expand the capabilities and versatilities of your GV-FR2020. Consult your sales representative for more information. Power Adapter Contact your sales representative for the countries and areas supported. Note this is only required for standalone mode. GV-POE Switch The GV-POE Switch is designed to provide power along with network connection for IP devices. The GV-POE Switch is available in various models with different numbers and types of ports. Note GV-FR2020 is only compatible with mid-span PoE power supply type. It only supports the following GV-POE Switch models: GV-POE0400, GV-POE0410-E, GV-POE0801, GV-POE0810, GV-POE0811, GV-POE0812.